Boca Raton Slip And Fall Attorneys - Silver & Silver P.A. Boca Raton Slip And Fall Attorneys – Silver & Silver P.A. Slip-and-fall accidents happen suddenly, and victims rarely have time to react and catch their balance. These unexpected falls have the potential to lead to a broad range of serious injuries that, in the most severe cases, may impact the victim for life. When these accidents occur due to the negligence of a property owner, victims often have grounds to seek damages. Slip-and-fall claims can be very complex. Be sure that you have a qualified attorney behind you who knows the law and has the ability to prove your claim. 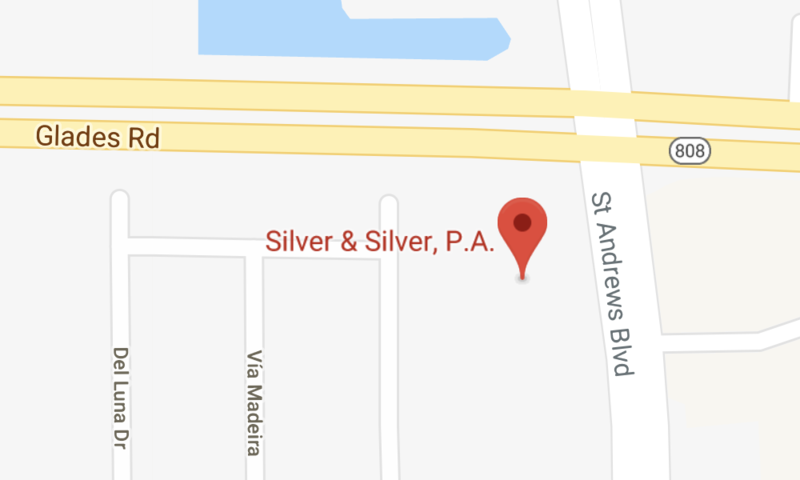 At the law firm of Silver & Silver, P.A., our Boca Raton Slip And Fall Attorneys represent South Florida injury victims in a broad range of these cases. Our Boca Raton Slip And Fall Attorneys have represented victims who have suffered all types of injuries in slip-and-fall accidents, including broken bones, spinal cord injuries and head injuries, among others. We work hard to obtain the medical care and financial support you will need over the short and long term, doing everything in our power to facilitate a full recovery. Contact our firm today to discuss your slip-and-fall accident claim. You can reach us by phone at our principal office in Boca Raton by calling 561-279-3911, toll free at 800-513-8670 or via email to schedule a free initial consultation.